Title-rivals Julian Godfrey (Heathfield) and Nathan Heathcote (Ashford) claimed a victory apiece in rounds seven and eight of the Toyo Tires MSA British Rallycross Championship at Pembrey Circuit [September 23 – 24] to set up a mouth-watering season finale at Croft Circuit next month. Five-time Champion Julian Godfrey (Ford Fiesta) won round seven of the Toyo Tires MSA British Rallycross Championship at Pembrey to further extend his 2017 championship lead (September 23). The seventh and eighth rounds of the Toyo Tires MSA British Rallycross Championship at Pembrey Circuit this weekend (September 23 – 24) will play a pivotal role in the outcome of the 2017 season. 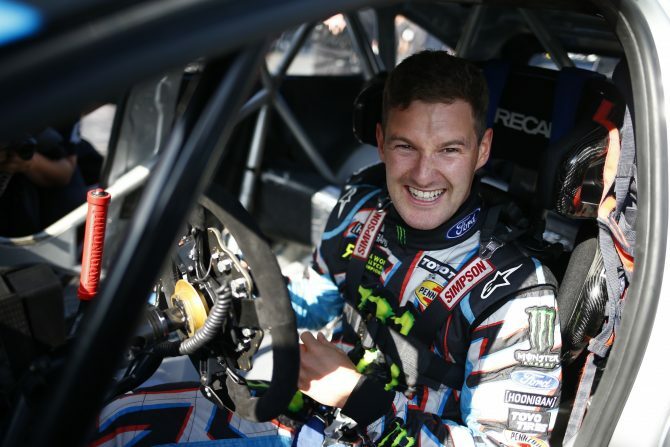 World Rallycross Championship star Andreas Bakkerud will compete in the eighth round of the MSA British Rallycross Championship this weekend in the RX150 buggy category, returning to a single-make buggy for the first time since the MSA British Rallycross Grand Prix event in October 2015. Former Super1600 Rallycross Champion Jack Thorne will return to the category this weekend in the sixth round of the Toyo Tires MSA British Rallycross Championship at Lydden Hill.